Celeb Gossip News – Star Wars: Luke Skywalker’s wife Mara Jade to FINALLY return to canon? Star Wars: Luke Skywalker’s wife Mara Jade to FINALLY return to canon? She was part of Star Wars Legends; stories outside of the main movie saga that were officially licensed by LucasFilm. When Disney took over the company, they wiped all of it from canon – but slowly certain elements have been creeping back in, including Thrawn, who is now a popular fixture of the novels and the TV show Star Wars Rebels. Timothy Zahn created Mara Jade as a wife for Luke Skywalker, and has said he doesn’t know if she will factor into Episode 9 – for which Mark Hamill was confirmed yesterday. Speaking to the Talking Bay 94 podcast, he promised to pitch for her to return to canon in some capacity. “If there was a generic, or organic, spot for her to fit into a story… I promise people, I will pitch it to the Lucasfilm story group, and then, it’s their decision whether to allow it or not,” he said. Mara was a Jedi Master in her own right, and she had also previously worked for Emperor Palpatine. Fans had wondered if she was who Keri Russell would be playing, given that Russell has just signed up to star in Episode 9 in an as-yet-unspecified role. It does seem unlikely that Mara will be seen in the next film, but Zahn’s words are encouraging that she could return to Star Wars storytelling at some point, in some capacity. Alongside Russell, yesterday a raft of new and familiar faces were revealed to have signed up for Episode 9. Daisy Ridley, Adam Driver, John Boyega, Oscar Isaac, Lupita Nyong’o, Domhnall Gleeson, Kelly Marie Tran, Joonas Suotamo and Billie Lourd are all back, with Naomi Ackie and Richard E. Grant joining alongside Russell. 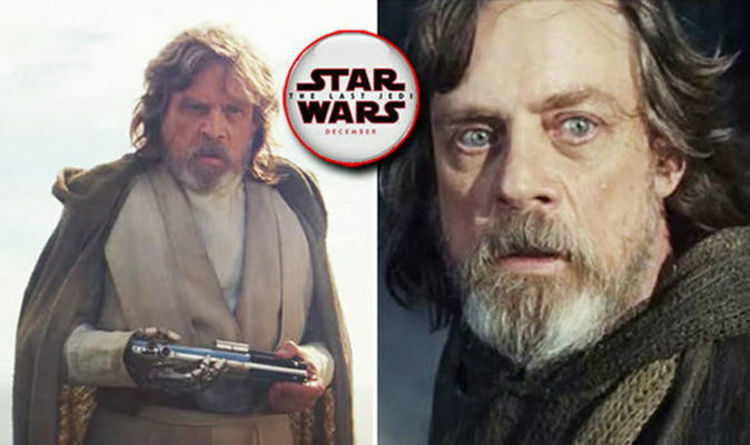 Veterans Mark Hamill, Anthony Daniels and Billy Dee Williams are also in the mix, with the late Carrie Fisher to appear courtesy of unused footage shot for Episode 7: The Force Awakens. “We desperately loved Carrie Fisher,” director JJ Abrams said. “Finding a truly satisfying conclusion to the Skywalker saga without her eluded us. We were never going to recast, or use a CG character.